First two tours down and several lined up for the rest of the summer. I have been in contact with a lot of my friends and making many new ones along the way. Please be in touch with me and let me know what your preferences are. 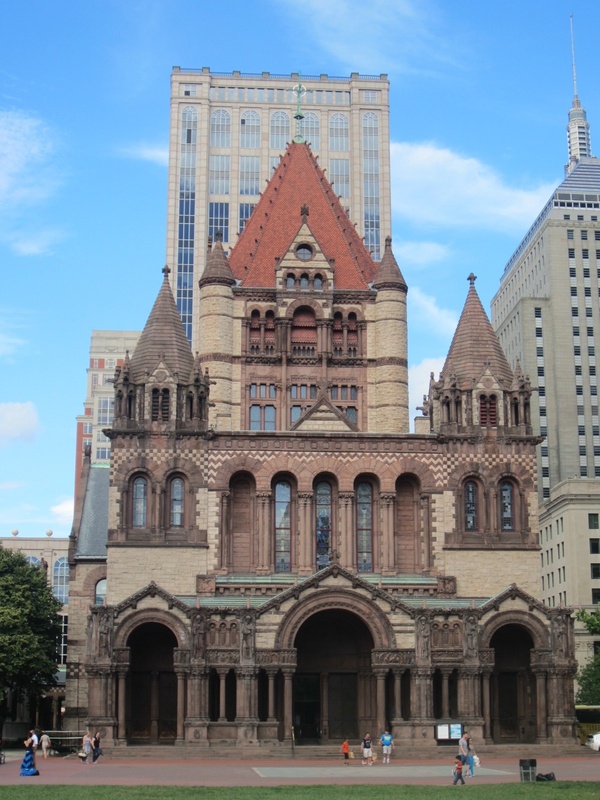 We love to customize at Boston Pilgrim Tours. Already, at the end of this month, I am in the midst of planning a specialized tour of select sites that contain original icons of our company’s patron, St. Botolph. This is just one sample of the variety I hope someday to offer with the help of the right contacts and faithful research. With God’s help, we will put religion and faith back on the map as a way of talking about or seeing the beautiful city of Boston! If you are coming to my blog expecting to see the great and venerable name of St. Botolph and are greatly disheartened by his apparent disappearance, please do not despair. I am continuing to hold him as my most trusted patron and heavenly intercessor for this humble work, but I have decided with the help of my marketing department to immediately re-brand with a name that is much easier to recognize, pronounce, and remember. Hence, from this day forth, we shall be remembered and advertised as Boston Pilgrim Tours at bostonpilgrim.org. We are still the best faith-based way to see Boston, and we will still be offering the best customer satisfaction of anyone in the faith-based tourism industry. So sign up for a tour today! 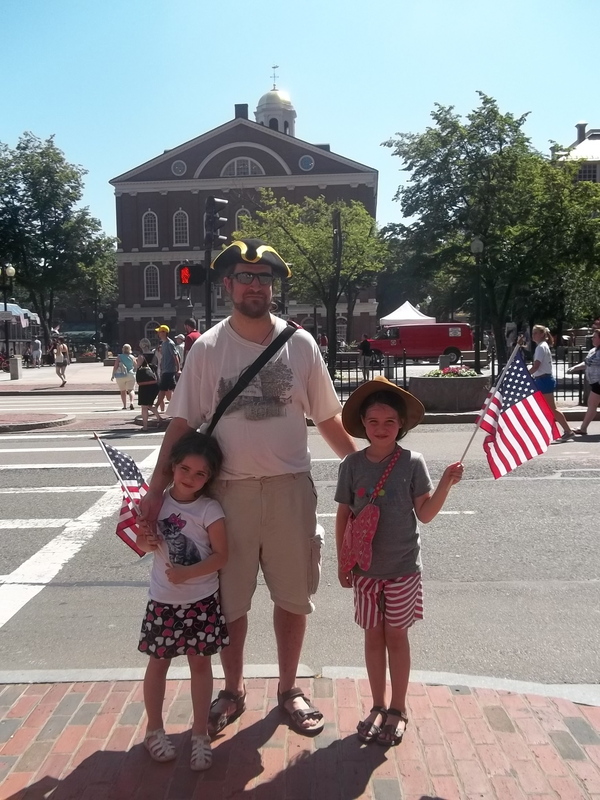 Went for the first time this morning with my two oldest to the fourth of July ceremony and parade downtown Boston. I cannot believe this is the first time I have ever done this. Usually, we are abroad at this time in Russia (last year, we actually arrived in Russia on this great American holiday). Hearing the many gun salutes sounding today in honor of American independence, I was reminded of the difference between distressing explosions and happy ones. These, of course, were planned in honor of the occasion. Very much unlike the distressing and harmful explosions of the Boston Marathon bombing. We are grateful to Almighty God for every day of his protection over our fair city and pray this day that happy guns may continue to sound not just on these shores, but everywhere in the world that benefits from America’s stand for all freedoms, both political and religious.